Complete list of Community & Government Providers in Pakistan. You can find the updated list of Community & Government Providers in Karachi, Lahore, Islamabad, Rawalpindi, Multan, Peshawar, Quetta, Faisalabad and other regions of Pakistan with their address, maps, locations, vendors and consumer reviews. You can also compare the Community & Government Providers here and find the best Community & Government Providers here. You can also find the jobs related to Community & Government Providers here. 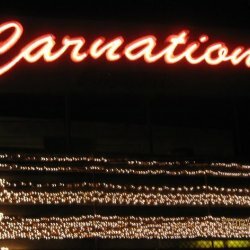 CARNATION LAWN is located in Karachi Pakistan. They are the well known event management company in the country. Su Khan Associates is located in Islamabad, Pakistan. Company is working in Community & Government business activities. Dolphin Online is located in Karachi, Pakistan. Company is working in Electrical goods, Computers, Community & Government business activities. Al-Ghousia Overseas Employment Promoters is located in Rawalpindi, Pakistan. Company is working in Community & Government business activities. Experience and Knowledge based Government Certified Diploma/PGD in Medical, Technical, IT & Other fields. You can now certify your knowledge and experience through RPL system.